Recently, the issue of functional dependencies in XML (XFDs) have been investigated. 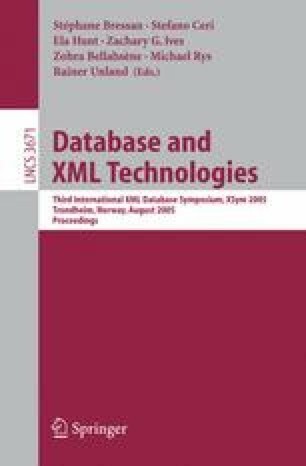 In this paper we consider the problem of checking the satisfaction of an XFD in an XML document. We present an efficient algorithm for the problem that is linear in the size of the XML document and linear in the number of XFDs to be checked. Also, our technique can be easily extended to efficiently incrementally check XFD satisfaction.